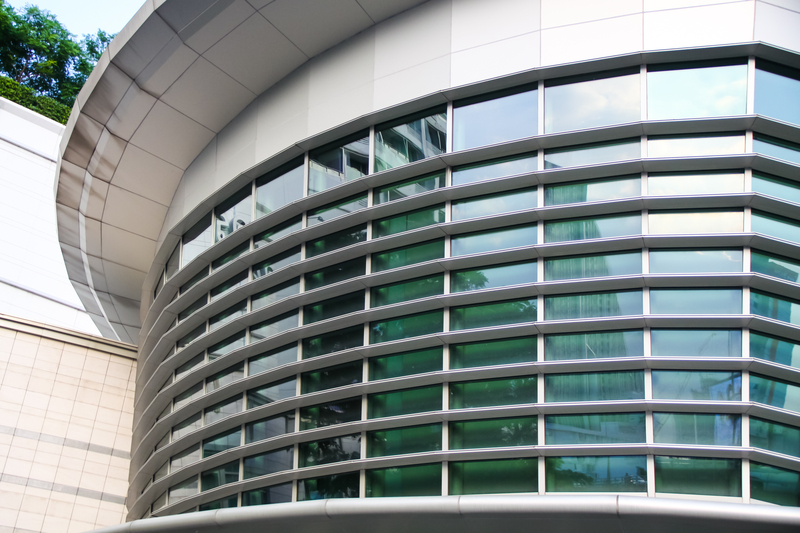 Over the last decade, exterior shading has become more popular in the construction market. However, many architects and building owners still have limited knowledge about these systems and why they should be considered part of the building design. 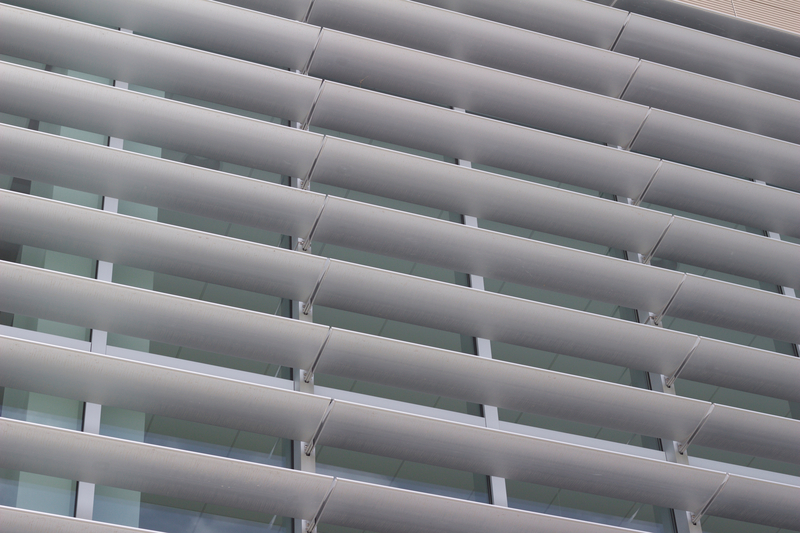 The effectiveness of fixed horizontal or vertical louvers depends on louver size, angle, and spacing. These systems normally only shade higher sun angles in order to allow views to the exterior and are most effective on south-facing elevations. They can be installed on east and west elevations, but will normally not protect occupants from the low sun in the early morning or late afternoon. 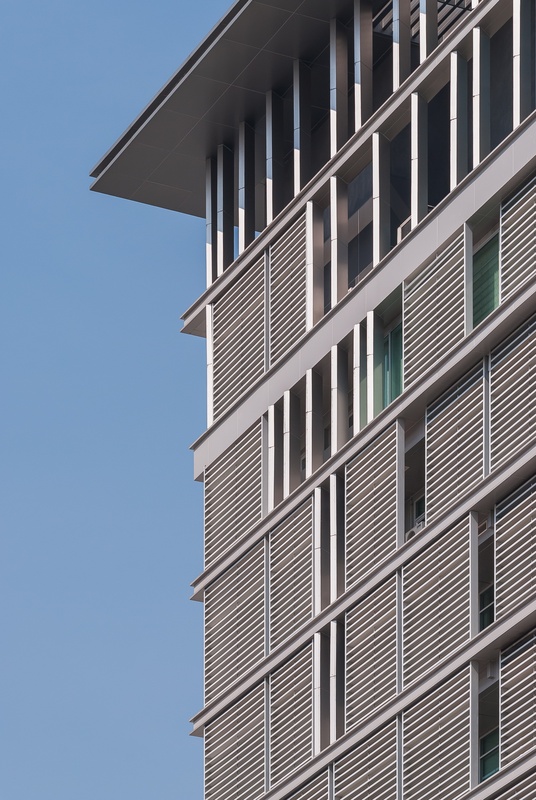 Vertical and horizontal adjustable louver systems can be motorized, allowing louver angles to be adjusted to give more responsive shading, particularly if they are connected to an automated control system. The systems do not retract—they will always remain in front of the glazing—but can be moved between the fully open and closed positions. Most exterior shading systems require little or no maintenance. 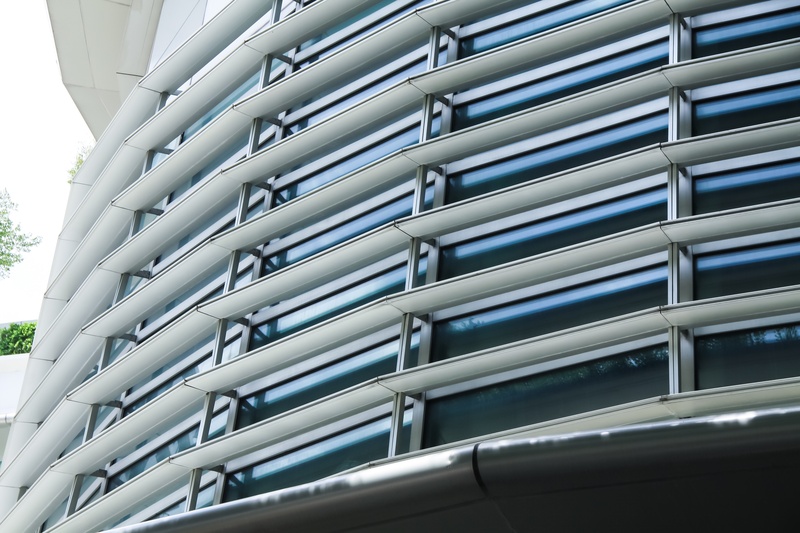 Fixed louver systems need to be cleaned periodically to maintain the warranty on the paint finish, but no other maintenance work is required. Adjustable and retractable systems also require little or no maintenance. Nevertheless, it is recommended they be inspected on a periodic basis to check the systems are correctly operating, guide cables (where used) are adequately tensioned, and there is no evidence of damage or general wear and tear to components.